The Music System Stereo Speaker includes: a center speaker, two satellite speakers, and a subwoofer. Bluetooth speakers can fill small to medium sized rooms with unparalleled sound. A Bluetooth speaker with an FM radio provides deep bass with its front-facing driver and all digital amplifiers. And it can be flexibly placed in every corner. It can take advantage of the large sound field in a small cabinet. Each finely tuned speaker has a compact unit and high quality complete audio coverage. Home Theater/ Ktv/ Party/ Outdoor activities, etc. 1. A proprietary circuit guarantees maximum bass output while avoiding overload. 2. The amplifier and the sound guide hole ensure strong low frequency reproduction to meet the demanding quality. 3. Combine Music System Stereo Speaker to create a full range of true surround sound effects can meet your expectations. 4. 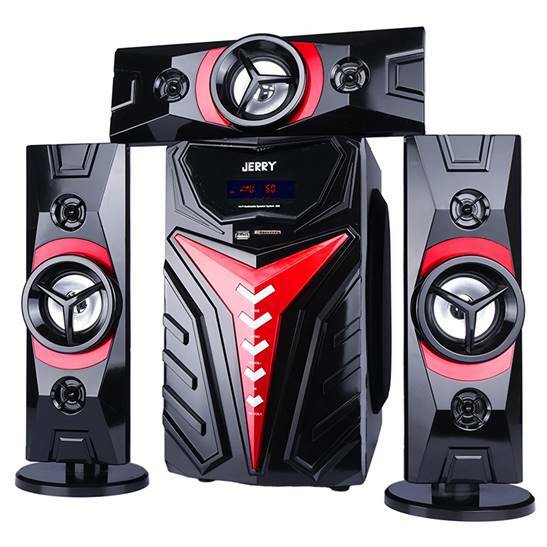 The design of Music System Stereo Speaker is completely new and unique, and with the support of powerful technology, it provides an excellent audio experience for all your entertainment systems.